British police are to investigate claims that UK secret services helped in the rendition of men to Libya. Two Libyans who were part of the anti-Gaddafi movement are threatening to sue the UK over their transfer to Libya and subsequent torture. The new investigations may delay a government inquiry into rendition. The Metropolitan Police and Crown Prosecution Service has said MI5 and MI6 officers will not be charged over separate torture collusion claims. 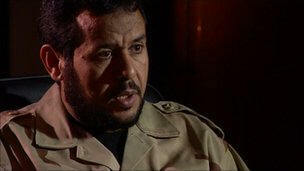 Abdel Hakim Belhadj, a commander of the rebel forces in Libya, says he was tortured after being arrested in 2004. He says he was taken from Bangkok to Libya by a joint CIA and MI6 operation which was set up to help Col Muammar Gaddafi round up his enemies. 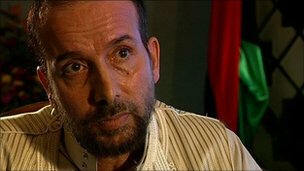 In a statement, Mr Belhadj said he looked forward to helping the inquiry. "My rendition was a harrowing experience," he said. "To this day, I cannot understand why my pregnant wife was put on the same plane and abused as well. I trust the police will get to the bottom of this, and find not just the rank-and-file agents, but those ministers who were truly responsible for her suffering." In the second Libyan case, Sami al-Saadi has made similar allegations of British collusion in rendition and is demanding damages for the torture he says he suffered in one of Gaddafi's prisons. In the joint statement with the CPS, the Metropolitan Police confirmed it was looking at the two cases. It said: "The allegations raised in the two specific cases... are so serious that it is in the public interest for them to be investigated now rather than at the conclusion of the Detainee Inquiry." The Met and CPS also said that they had set up a panel to consider other allegations of ill-treatment. These include a complaint made by Shaker Aamer, the last remaining British resident held at Guantanamo Bay. The investigations into alleged collusion began after a former Guantanamo detainee, Binyam Mohamed, told the British courts that London knew that he was being abused while he was held in Pakistan in 2002. An MI5 officer known only as Witness B, who interviewed Mr Mohamed in Pakistan, was later told he would not face prosecution. The investigation then looked into whether there had been any collusion in Mr Mohamed's later torture in Morocco, prior to his transfer to Guantanamo. In the joint statement, the Crown Prosecution Service and Metropolitan Police said that there was insufficient evidence to show that any British officer had supplied questions for interrogation knowing that Mr Mohamed could be tortured. The second case closed on Thursday relates to an incident referred by MI6 to investigators. One of its officers interviewed a detainee who was being held at Bagram Air Base in Afghanistan in January 2002. 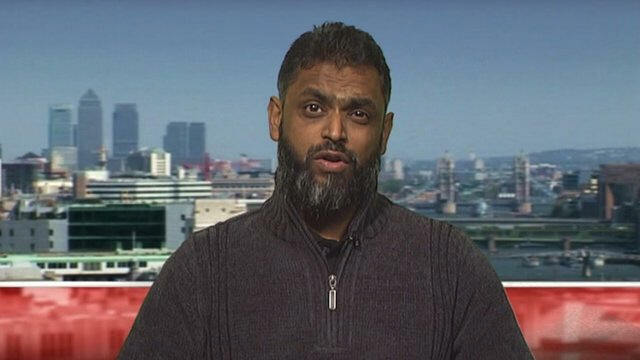 Moazzam Begg: "This isn't just about individuals, it's about a whole system that went completely wrong"
The CPS said that despite "strenuous efforts", the police had not been able to get an account of what happened from the detainee or other potential eye-witnesses who were not British officials. The CPS said that there was therefore insufficient evidence to launch a prosecution. The launch of a Libya investigation means that is no longer clear whether the Gibson Inquiry into the treatment of detainees can start. The inquiry, currently boycotted by victims, their lawyers and human rights groups, had been waiting for the original investigations to end. In a statement, the inquiry said that it would "carefully consider its next steps". But Clive Stafford Smith, director of legal group Reprieve, said: "Evidence of British complicity in the torture of Libyans Sami al Saadi and Abdul Hakim Belhadj by the Gaddafi regime is so blatant that a criminal inquiry must go ahead before the Government's deeply flawed Gibson Inquiry can get started. "Sadly, the current Government's Gibson Inquiry simply has neither the clout nor the independence it needs to get to the bottom of this, and as a result is set to be little more than a whitewash." In a statement, MI6 chief Sir John Sawers said: "I welcome the decision today not to bring charges against one of our officers. "I am glad that the outcome allows the courageous individual at the centre of the investigation to continue his work in support of national security. He has dedicated his life to public service and I have full confidence in him." He said that the service would co-operate fully with the police investigation. "It is in the service's interest to deal with the allegations being made as swiftly as possible so we can draw a line under them and focus on the crucial work we now face in the future," said Sir John. Conservative MP Andrew Tyrie, who has investigated rendition, said: "We want to get to the bottom of this, not just on grounds of justice or ethical considerations, but because this whole saga has threatened to make Britain less safe."